We're dedicated to ensuring that we offer assistance to any one with a hard won court judgment they've tried to collect . We know the frustration and aggravation a person has trying to collect a money judgment but can't monetize.Fact is 80% of court judgments go uncollected. Let's change that. We’re here to help you "get where you want to go." Making sure you get the judgment recovery help you deserve. We serve individuals, law firms, and businesses in Los Angeles County including the San Fernando Valley, Pasadena and beyond.. Each judgment case we take on gets our undivided attention. We have a well-deserved reputation of excellence in providing smart, sensible, affordable recovery solutions. We’re at the forefront of ever-changing laws and are fully committed to exceed client expectations. We guarantee effective, aggressive representation. 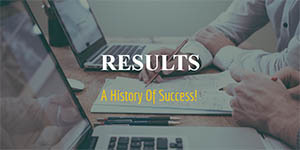 Our history of successful recovery speaks volumes. Quarrystone Financial Services and its founder, Mr. Doyle, are Los Angeles judgment collection recovery specialists and asset locators. 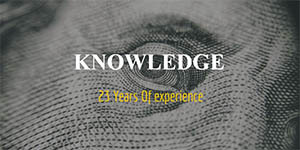 We have 23-years of combined judgment collection experience. Located in Los Angeles, Pasadena, and Monrovia our judgment collection professionals help consumers and businesses throughout Southern California enforce their judgments and get the money they are entitled to. You Have a Court-Won Judgment But Cannot Collect! The Judgment Winners’ Dilemma – You fought a long legal battle. You prevailed in the Courtroom! The judge ruled in your favor and issued you a Court judgment — a piece of paper stating you are owed money. Likely, you’ve come to learn that your judgment, “a piece of paper,” is just that and nothing more. Collecting your Court-awarded judgment is turning out to be more challenging and frustrating than winning your whole court battle. What can you do? Debtors are typically flakey people to begin with, and you are unlikely the first person they have burned. Since your debtor has not paid you so far, chances are they have no intention to ever pay you. Moreover, it is also likely, to avoid you collecting on your court judgment, your debtor has attempted to hide their source of income and assets. If you are frustrated in your efforts to collect money that is rightfully owed to you, you’ve come to the right place. Los Angeles judgment collectors at Quarrystone Financial Services are here to help. 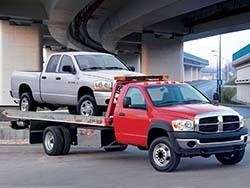 Mr. Doyle and his team of experienced asset locators are Los Angeles judgment collection and recovery specialists. We offer top-drawer service. We take the time to research your judgment collection situation completely and use all our skills to ensure we get the best possible outcome when we collect a judgment. After all, you fought and won in court, and you deserve to collect what is owed to you! LOCATE YOUR JUDGMENT DEBTOR – The Los Angeles judgment collection specialists at Quarrystone Financial Services have special resources, skills and knowledge. Our licensing by the County of Los Angeles as process servers, for example, opened new sources and databases to our already sizeable arsenal we rely upon to help locate judgment debtors. Our investigators and asset location experts are very good at locating debtor’s assets, including homes, cars, trucks, RVs, boats, and secret bank accounts. 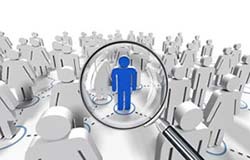 Finding people is one of our specialties. LOCATE JUDGMENT DEBOR ASSETS – After we locate your Judgment Debtor, we then conduct a thorough asset location investigation to locate secret bank accounts, real estate, autos, trucks, boats, RVs, the debtor’s employer, or even a business they might own. Once we locate your judgment debtor’s assets we make arrangements to seize assets (like vehicles), garnish wages, levy bank accounts, or if they are a business owner, we can arrange a “till tap” where money coming into the business by customers or mail can be seized to satisfy your judgment. We don’t let your debtor know WHAT and WHEN we will seize/garnish/levy. Debtors are often very surprized when we strike. If our first seize/garnish/levy action does not collect the entire value of the judgment, sometimes your debtor is so embarased or “found out” they they will make arrangements to pay off the remaining judgment balance. Very often they just want us to go away! We are happy to be the squeaky wheel that is paid to “go away…” Though we are not attorneys, we use the power of the legal system to execute and recover your judgments. Since you are visiting our Los Angeles judgment collection website, chances are you have figured out that the the court judgment you won, is nothing more than a worthless piece of paper. You also have learned, we suspect, that collecting the money owed you — PROVEN IN A COURT — is just as difficult, or more so, than winning your court judgment in the first place. The truth is, that judgment collection is complicated and difficult. Besides the exacting legal requirements you must carefully follow, often your judgment debtor has changed addresses, is living with friends or relatives, and has attempted to hide assets and employment information from you. 80% of Court Judgments Go Uncollected – Let’s CHANGE THAT! Judgment Recovery is expensive and time consuming. It seems like the California state statutes were written more to protect your judgment debtor than YOU — the victim of non payment. If you are frustrated and now seeking help in collecting your judgment, chances are you’ve recently learned the dissapointing statistic that 80% of court judgments expire and die uncollected. Why Hire a Professional Judgment Collection Specialist? Los Angeles judgment collection is often MORE difficult and MORE expensive than what you went through winning your judgment in court. Judgment collection is so time consuming and expensive that most judgment winners never start or eventually give up after months or years of frustration. We get it! The investigative databases and tools we rely use are not available to the public, nor the investment of time and expenses most individuals and businesses are simply not willing to invest in collecting their own judgments. 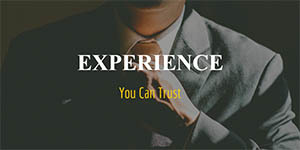 We have 23-years of combined experience in the judgment collection and legal industries. We have access to publically-unavailable databases and investigative tools usuall accessible only by law enforcement, banks and investigators. We have licensed process servers, investigators, skip-tracers, financial investigators and other judgment recovery professionals to work on YOUR judgment collection. We are EQUIPED, MOTIVATED, and READY TO GO. We WANT TO IMPRESS you with our Los Angeles judgment collection skills. With all we have going for us; with all our tools, databases and professional staff, judgment collection is still very expensive – even for us. To make a go of this tough business we must charge 50% of all amounts collected. For every dollar we collect for you, we then also earn a dollar. We don’t get paid, if you don’t get paid! There is NO UPFRONT COST FOR YOU to get us started collecting your judgment other than a manditory ten dollar notary fee. ALL costs of judgment collection, including our payroll, overhead, private investigators, financial investigators, skip tracing, database access, court fees, writ executions fees, till-taps (keeper fees), etc. are ALL out of OUR POCKET whether we collect a dollar or nothing. In other words, we do not get paid unless you get paid. All the possible downside – all the costs of collection are our risk – not yours. So let’s get started! We are Judgment Recovery Specialists – Your Los Angeles judgment collection experts, at Quarrystone Financial, pride ourselves in treating EVERY judgment collection case with care and consideration. We have hand-picked a stellar team of professionals to research and find your judgment debtor — even if in hiding — including your debtor’s assets, business-interests, employer, or income stream. We have unique access to investigative databases and tools to assist us in locating individuals, their assets, and sources of income. Most of these tools and databases are accessible only to large financial institutions, licensed investigators, and law enforcement. Our experience, skills and resource help us GET YOU PAID! Once we have your debtor identified and uncovered their assets, employment or source of income, we then use every legal means available to attach, seize or garnish those assets. We do not send your debtor a “courtesy notice” ahead of time! In fact, most debtors are shocked that they’ve been found or their assets uncovered. Once uncovered, any attempts to hide, move, or transfer the assets will not make them look sympathetic in front of a Court judge. Moreover, we network with other skilled judgment collection professionals up and down the state of California so we can track down judgment debtors who might have moved to avoid you. As Los Angeles judgment collection specialists in Southern California we have network associates everywhere, some of the best judgment enforcers in the business who, when needed, help us collect the money you are owed. How Do I Hire You to Collect My Judgment? You assign your judgment to us with an industry standard “Acknowledgment of Assignment of Judgment”. Your judgment then becomes “our judgment” for a lenth of time we agree to. Can you imagine HOW motivated we become? Especially considering Judgment Collection is ALL that we do. And unlike debt collectors or high volume ‘judgment mills,’ we are GOOD AT IT! A simple agreement that outlines what we do and is written to protect both parties is the second document we ask you to sign. Once we file the documents in Court, we become the “Assignee of Record” and can represent ourselve in court as if we were you. We then pursue the judgment and divide any funds we collect 50-50% with you. If you have a “problem judgment” and you are “at the end of your rope” chances are we can help you. We are never “too busy” to answer your call. Your questions will be honestly and frankly answered. Your phone consultation is always FREE! Your choice of phone call or email – FREE of course! 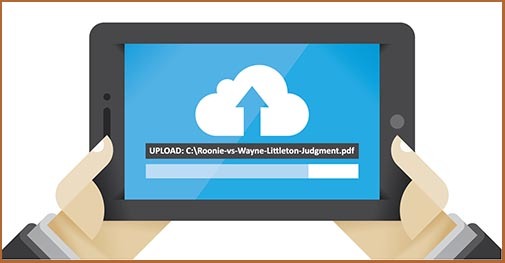 At the end of our short Secure Online Judgment Submission Form, there is an UPLOAD FILE LINK whereby you can upload a PDF, JPEG or PNG copy of your judgment. If it is not convenient now, you can always upload a copy of your judgment later – no problem! When you are able to UPLOAD a copy of your judgment, there is an UPLOAD DOCUMENTS BUTTON on the footer of this website that you can use at anytime. HANDY HINTS: If you only have the original Court Judgment document and no digital copies, many computer printers have the capability to scan a document to a PDF file, or you can use your iPhone or Android phone to take a crisp, clear photo of your paper judgment. If you use your phone’s camera, check the camera settings and choose highest resolution setting and the largest file size setting. It is usually better to take document pictures WITHOUT FLASH and on a flat surface with good room lighting. Our Secure Online Judgment Submission Form has other fields where you can include any pertinent information you have on your debtor such as the debtor’s home address, phone numbers, employer or source of income, any known assets, bank accounts, real estate, etc. This will be useful for us in considering whether we can take on your judgment collection case. No matter what our decision, we are considerate of your valuable time and will quickly respond to you.